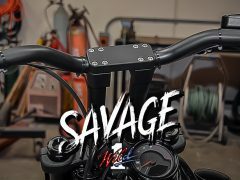 The Maverick muffler range from Crusher Performance brings riders killer good looks, plus sound and performance you’ll love, all at an unbeatable price. Premium style is the cornerstone of the Maverick range. Featuring precision-machined billet aluminium tips with high-temp black ceramic coating, and brushed stainless steel banding, Maverick slip-ons have a unique high-end look. 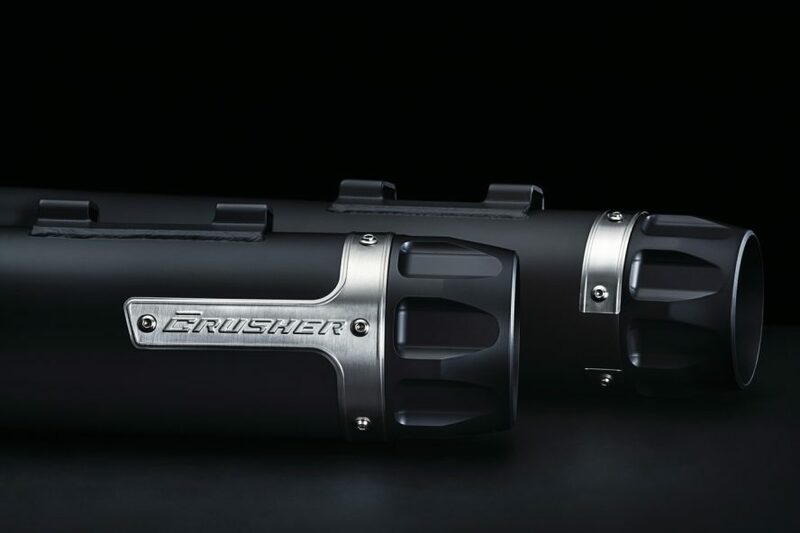 Maverick mufflers deliver a deep, low roar you’ll love at wide-open throttle with lower decibel levels at cruising speeds. They’re equipped with maintenance-free, high-flow louvered baffles that never need repacking, with optional Sound Reduction Baffles (sold separately) if you’re more of a quiet type. Maverick mufflers are available in 2.5″ diameter for Softail, Dyna, Sportster and Indian Scout, and 4″ diameter for ’95-’16 Touring models, in your choice of chrome or matte black finishes. See the Maverick range online now at v-twin-exhaust.com.au or contact Rollies Speed Shop Distribution on 07 3252 5381 for more information.